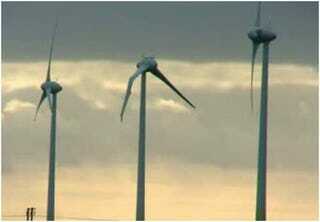 What on Earth could have caused this wind turbine in the UK to break so catastrophically? Let's skip all rational explanations and jump right to the conclusion that is on everyone's lips—aliens did it. Indeed, several residents of the village of Conisholme, in Lincolnshire claim that they saw bright streaks in the sky "like an octopus' tentacles" right around the time that the blades were damaged. Others claim that the damage was the result of a "cow-sized ice chunk" and even a "robot stealth bomber."